The Indian professional boxer Vijender Singh has not had any bouts this year but harbours a desire to play at the Madison Square Garden in the United States of America and against an opponent of his choice i.e against the Mexican Professional boxer Canelo Alvarez. Manny Pacquiao's coach Freddie Roach will assist his training as he prepares to enter the US boxing circuit. "I have told him (Bob Arum) about my dream to debut at the Madison Square Garden. After winning an Olympic medal, I had spoken about a desire to fight at the MSG arena and when I told Bob about this, he said 'the boy has a Madison Square Garden dream. OK we'll see what can be done'," Vijender said to PTI. 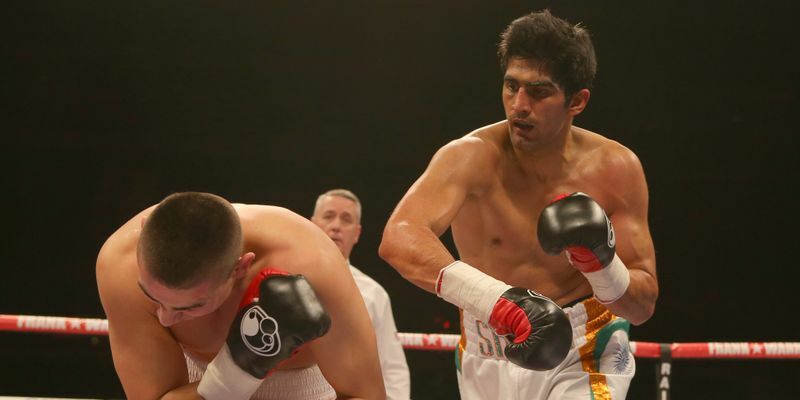 After playing ten matches in India and UK, Vijender is yet to lose any and has even signed up with America’s Bob Arum’s Top Rank promotions to make an entry into the US boxing arena. Vijender also revealed that it was Bob who introduced him to Freddie Roach and Robert Garcia. Vijender has already won the WBO Asia Pacific and Oriental super middleweight titles so far and will be training with Roach, a long-time coach of Filipino superstar Pacquiao - a world champion in eight different weight divisions.